AG & RURAL DEVELOPMENT AHEAD: On Monday, Oct. 12, your correspondents will interview Director Jamie Clover Adams of the Department of Agriculture and Rural Development. Possible topics include trends in crop and livestock production, rural economic development initiatives, the Agriculture Environmental Assurance Program, protection of the western Lake Erie Basin and food safety. AFFORDABLEHOUSINGCRISIS: The cost of rent is rising faster than wages in Michigan, putting pressure on low-income and middle-income families, says the National Low Income Housing Coalition. In St. Joseph County, fewer than half of rentable units are adequate and affordable. High rents are a problem in Grand Rapids and Traverse City as well. We also talk to the Michigan State Housing Development Authority and an MSU economist. By Sierra Resovsky. FOR THREE RIVERS, STURGIS, GRAND RAPIDS BUSINESS, LANSING CITY PULSE, TRAVERSE CITY & ALL POINTS. w/OBESITYTABLE1: Three most obese and three least obese counties. Source: Michigan Department of Health & Human Services. w/OBESITYTABLE2: Obesity rates in the eight Great Lakes states. Source: Centers for Disease Control and Prevention. YOUTHEMPLOYMENT: A youth employment program run by Network Northwest Michigan WORKS! centers in Petoskey, Manistee, Traverse City, Cadillac and Kalkaska is developing work and time management skills and helping people 16 to 24 financially. A study says participants in such programs also tend to do better in school. We also hear from people in Benzonia and Manistee By Brooke Kansier. FOR TRAVERSE CITY, LEELANAU, PETOSKEY, HARBOR SPRINGS, MANISTEE, BIG RAPIDS, CADILLAC, LUDINGTON, GRAND RAPIDS BUSINESS & ALL POINTS. NATIVEAMERICANSTUDIES: Northern Michigan University will provide the first university-level Native American studies major in Michigan beginning next fall, an action that may draw attention to a long-overlooked academic area that has been thriving in recent years, according to a professor at Central Michigan University. We also speak to an expert at Saginaw Chippewa Tribal College in Mount Pleasant. By Zhao Peng. FOR BAY MILLS, MARQUETTE, SAULT STE. MARIE, ST. IGNACE, CHEBOYGAN, LANSING CITY PULSE & ALL POINTS. LAKEEMERGENCIES— Despite headlines and lake advisories, boaters on lakes Michigan and Huron had average summers with typical numbers of distress calls. The lakes had only regular turbulence. We talk to the National Weather Service in Grand Rapids, the Leelanau County sheriff, a Cheboygan County deputy sheriff and the marine division of the Allegan County Sheriff Department. The last reports an increase in distress calls from river kayakers. By Michael Kransz. FOR LUDINGTON, HOLLAND, MANISTEE, CHEBOYGAN, CADILLAC, TRAVERSE CITY, PETOSKEY, HARBOR SPRINGS, ALCONA, GLADWIN, GREENVILLE, MARQUETTE, LEELANAU, SAULT STE. MARIE, ST. IGNACE & ALL POINTS. TOBACCO: A Senate-passed bill to increase penalties for furnishing tobacco to minors is awaiting action in the House. It’s intended to deter underage smoking and avert tobacco-related illnesses. We talk to the senator who introduced the bill and a tobacco retailer in Traverse City. By Yuehan Liu: FOR GRAND RAPIDS BUSINESS, TRAVERSE CITY & ALL POINTS. COLLEGECREDITS: Community colleges are stepping stones to higher learning institutions and trade schools. We hear from Northwestern Michigan College in Traverse City, the Michigan Community College Association and a professor at Grand Rapids Community College. By Stephanie Hernandez McGavin. FOR TRAVERSE CITY, GRAND RAPIDS BUSINESS & ALL POINTS. WILDLANDURBANINTERFACE: A new Forest Service report highlights challenges posed by development in urban-wildlands interface areas, such as those popular for Up North vacation and second homes. Among the problems are wildfires, as experienced in the Huron-Manistee National Forest and the Eastern U.P. Researchers from Michigan Tech and University of Wisconsin explain. By Colleen Otte. FOR HOLLAND, LUDINGTON, MANISTEE, HARBOR SPRINGS, PETOSKEY, LEELANAU, TRAVERSE CITY, CADILLAC, MARQUETTE, SAULT STE. MARIE, CADILLAC, GREENVILLE, CRAWFORD COUNTY, LAKE COUNTY, HERALD-STAR, BIG RAPIDS, ST. IGNACE, GLADWIN, MONTMORENCY, ALCONA, CHEBOYGAN, GRAND RAPIDS BUSINESS & ALL POINTS. 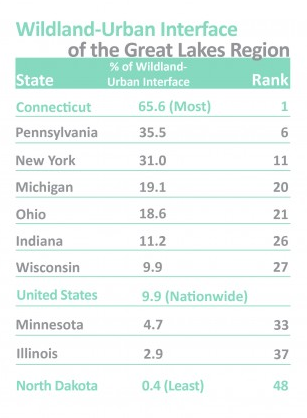 w/WILDLANDURBANINTERFACECHART: Great Lakes region wildland-urban interface. Credit: Colleen Otte. DETROITARCHITECT: A new book chronicles the life and work of Detroit-based architect Minoru Yamasaki, designer of the World Trade Center and such distinctive Detroit buildings as One Woodward Avenue (formerly the Michigan Consolidated Gas building) and Wayne State’s McGregor Memorial Conference Center. We interview author and architecture critic John Gallagher. For news and features sections. By Amanda Proscia. FOR ALL POINTS. 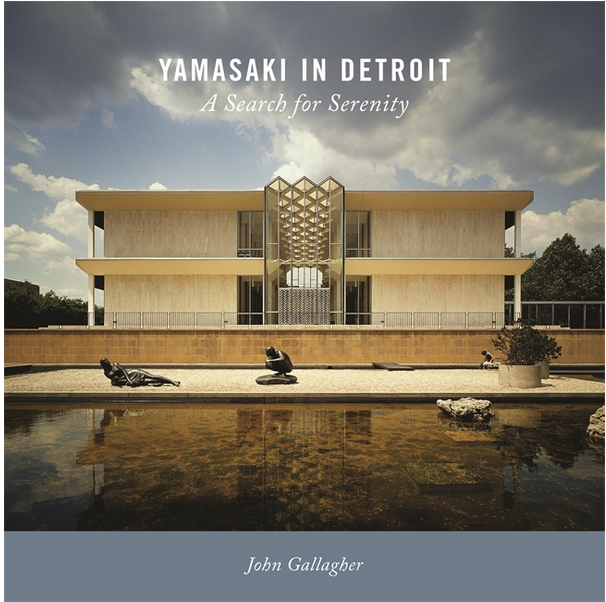 w/DETROITARCHITECTCOVER: Yamasaki in Detroit: A Search for Serenity. Credit: Wayne State University Press. POOLS: Research at Pictured Rocks National Lakeshore sheds light on the critical environmental role that shallow seasonal pools of water play in supporting wildlife, a new study shows. Michigan Tech researchers say the findings could help public land agencies better protect these pools in the face of threats from development, climate change, invasive species, climate change, habitat fragmentation, contaminated water and groundwater extraction. By Eric Freedman. FOR MARQUETTE, SAULT STE. MARIE, ST. IGNACE, BAY MILLS, CHEBOYGAN & ALL POINTS. LANSING — Bats get a bad rap, but a new study proves that they’re hard workers, and that the work they do is worth more than $1 billion to farmers. The study shows that bats play a vital role in keeping in check corn earworm moths and larvae that destroy corn, cotton, tomato and other important crops.